Happy Holidays From CrucialClicks.com We would like to take a moment to express our appreciation for the opportunity to work with you through the year. We wish you and yours all the warmth and joys of this Holiday Season. The team at CrucialClicks.com went to New York City to explore the latest in Search Marketing And Digital Advetising. SMX East 2015 covered all of the online marketing options we are now using or should consider, including paid search advertising, SEO, social media (earned, owned and paid), display advertising and local/mobile. During the last week of September 2015, The team at CrucialClicks.com visited the Big Apple to attend the Search Marketing Expo – East 2015 conference. We attend the Search Marketing Expo, annually, to brush up on our search marketing skills. We attend to explore changes in the marketing landscape and to learn best practices. We apply this knowledge to enhance our products and services on behalf of our current and future customers. NewsClicks Q2 2015 is out and hot off the presses. In this issue, you'll read about CrucialClicks.com selected to host an exclusive Google Partners Connect Event — again!, learn 10 ideas for turning around your Collective Negative Reviews in Google, find out how long consumers are willing to drive to get to a Local Business, and learn 26 crazy facts that you never knew about Google! Read on for all of this and more, in this issue of NewsClicks. So what are you waiting for? Head over to the latest NewsClicks issue and give it a read. 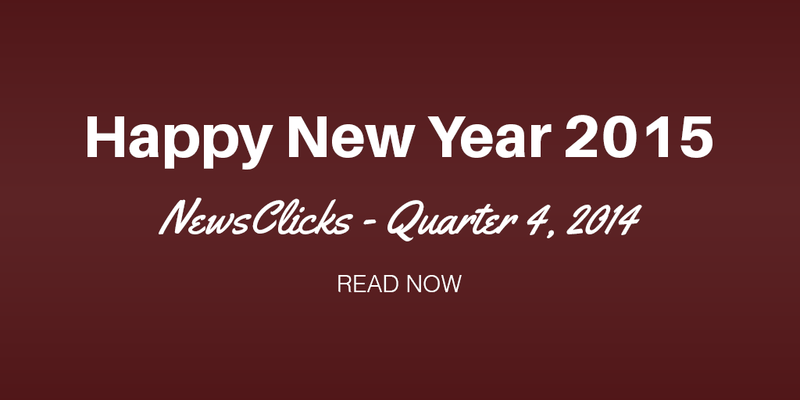 Read NewsClicks – Publication Q2 2015. CrucialClicks.com, leaders in Internet Marketing, is excited to announce that we have been selected and hosted our second exclusive Google Partners Connect Event at our offices in Coral Springs, FL during the month of May. The free event aimed to educate business owners about how to best leverage their online presence and increase brand awareness across digital platforms. Local Business Owners of all industries located in Broward, Dade, and Palm Beach Counties attended. A panel of two top executives from Google, Matt Lawson and Fred Vallaeys, shared their ideas on how to grow your businesses online. Matt Lawson, Director, Search Ads Marketing - Micro-Moments - Matt discussed the "micro-moments" that guide a customer's decision journey, and how businesses can use online marketing to reach potential customers during the moments that matter most. Established Buyer Base If you would like a demo of StorageStuff.Bid and how it could help your business handle its delinquent units, please contact us at contact@storagestuff.bid. Happy New Year 2015 once again from us at CrucialClicks.com. This year has already begun at a rapid start, and we don't expect it to slow anytime soon. Be sure to take time for yourself to enjoy what you like to do. In case you missed it, we have released our latest NewsClicks, Quarter 4, 2014. In it, you'll find that teens are moving away from Facebook, learn how not to ask for reviews, updates for Google's maps and apps, and Apple may or may not be planning a search engine. Get all the latest scoop here on NewsClicks. Be sure not to miss any of our future NewsClicks by subscribing today.